Home » Not Enough Time To Play Word Games With Your Friends? 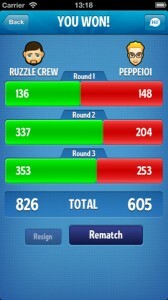 Try Ruzzle! Not Enough Time To Play Word Games With Your Friends? 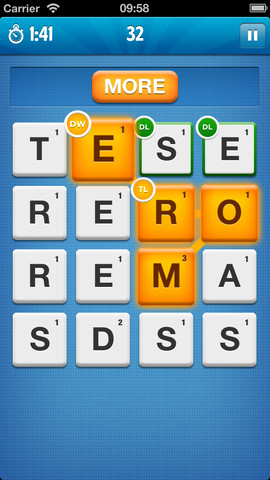 Try Ruzzle! 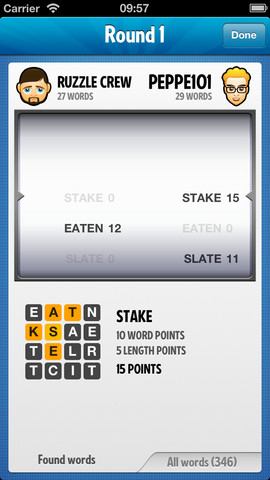 Word games are probably one of the most popular board games. I mean, who here hasn't played Scrabble, at least once in their life? It's fun, and it's also a pretty cool brain teaser. The only thing you could complain about, is that a game of Scrabble takes too much time to play from start to finish. Especially when there are only two players involved. But there's a game that seems to have solved this problem. This is Ruzzle, and you can download it for free from the AppStore. Ruzzle is a great word game, where you have to find as many words as possible on a board, by swiping your finger across the screen. The only rule is that the letters must be connected to each other. Therefore, you can't pick a letter from one corner to form a word with a letter from the opposite corner, if there aren't any connecting letters in-between. Sounds easy? Well, there's a catch. With Ruzzle, you only have 2 minutes to find as many words as possible. Then, it's your opponent's turn. Because the beauty of Ruzzle is that it's especially designed for you to play against your friends on Facebook, Twitter, or other Ruzzle members. There are 3 rounds for every game, and whoever scores the most points, wins. Pretty basic. 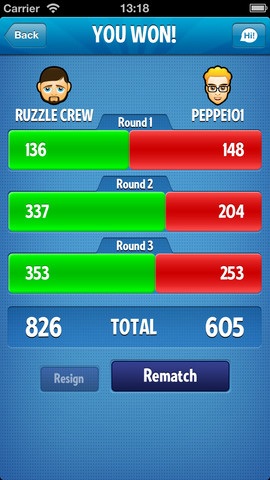 If you, however, have just started to play Ruzzle, and have no friend to play with, you can still enjoy the game. You can pay for an upgrade, and play by yourself. Or, better yet, challenge a random opponent. It's a fun way to meet new people, and also see where you stand with your vocabulary. Oh, and the easiest way to score as many points as possible? Well, besides spotting many words, you should also try and spot the longest ones. And also, for every game, there are certain letters that give you all sorts of cool boosters. So, make sure you form your words using them as often as you can. Bottom line, Ruzzle has all it takes to be a hit. It's fun, easy to play, interactive. Plus, you can play it anytime. It's the brain teaser that requires well under 10 minutes of your time. 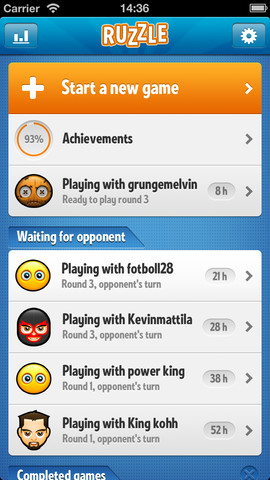 So, next time you have your friends over, or are just out having a beer, why don't you try introducing them to Ruzzle? You can't challenge all of them at once, since it's a player vs player game. But you can have a tournament, and see which one of you wins the most games. How's that for a challenge? 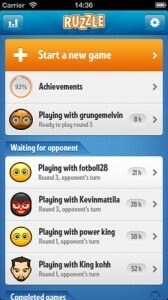 What do you think of Ruzzle? Scroll down for our comment section and let us know! This commenting system is getting popular now. I bet someday, all sites will have this one. This is such a interesting game which anyone can easily play on that iPhone. This is such a interesting game which anyone can easily play on that iPhone. This kind of mobile game applications are really amazing graphically as well as good in sound effect.